Round Chapel is a beautiful, historic building in the middle of one of London’s most vibrant boroughs, Hackney. 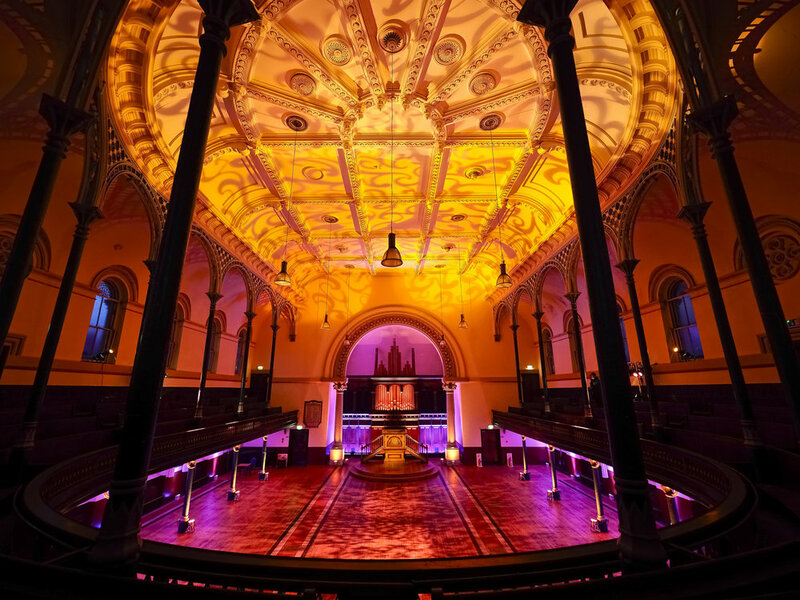 Staying true to its alternative roots, the Grade II* listed chapel continues to host an eclectic array of events catering for the whole community. Round Chapel has been the location of numerous music, film and other shoots.